Connect your phone via a USB cable, and you’ll see a familiar interface displayed clearly on the screen. Tap the icons to take calls, check voicemails and text messages, or bring up Apple Maps. And of course, listen to your favorite songs using iTunes, Apple Music, or installed apps. Apple CarPlay even lets you talk to Siri to control everything using voice commands. You can dictate text messages, control music playback, or get directions, without ever taking your eyes off the road. Connect your Android phone via a USB cable to get traffic information, lane guidance, and real-time navigation assistance from Google maps. You can even send text messages, take calls, or check your voicemail through the simple interface. Android Auto also includes best in-class voice-recognition technology, so you can control everything just by speaking. Get directions, send messages, make calls, and control music while keeping your hands safely on the wheel. Get over 140 channels, including commercial-free music plus the best sports and live events, comedy, news, exclusive talk and entertainment. SiriusXM programming is received through the SiriusXM Connect Vehicle Tuner (included, SiriusXM subscription required). 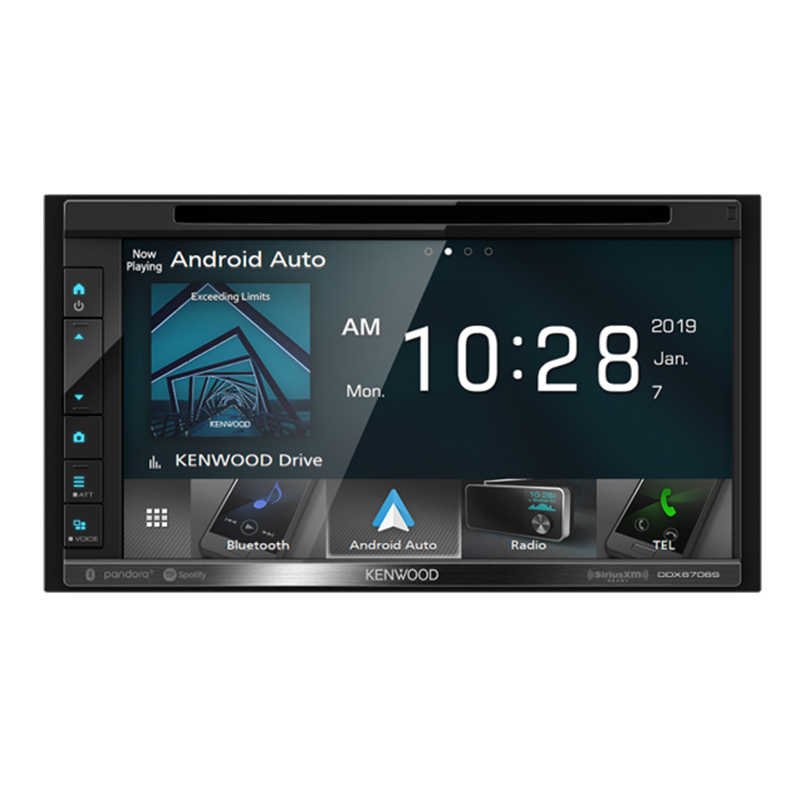 iDatalink Maestro compatibility allows you to view and control vehicle information like HVAC controls, adjust vehicle settings like door lock and exit lighting operation, and even see performance data like boost, tach, and speedometer on the screen of the XAV-AX210SXM. Easily take calls and listen to your favorite tunes with Bluetooth® 3.0 technology. If you’ve got a rear camera installed, you can use it to help you park. Whenever you tap the rear camera icon or put your vehicle in reverse, you’ll instantly bring the video feed up on screen. Customizable guidelines help you to back in smoothly and safely. Two additional camera inputs allow you to monitor a trailer hitch, cargo, approach angle, or vehicle blind spots with additional cameras (sold separately). Whenever you’re taking a break from driving, watch your favorite movies with the built-in DVD player. 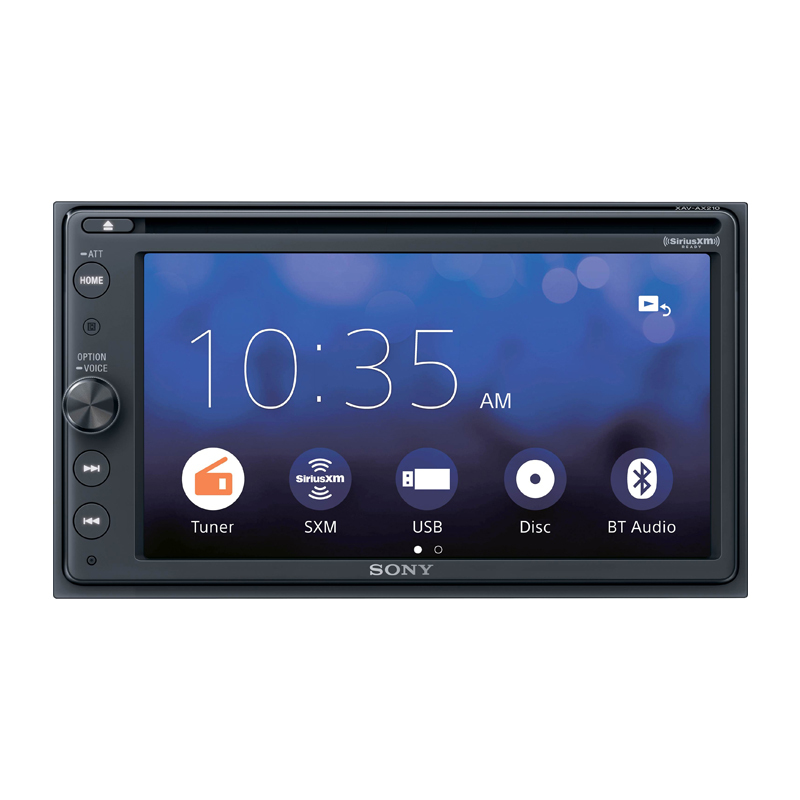 The full-color screen lets you enjoy entertainment in your car without compromising on picture quality.